While proponents of different models would like you to think otherwise, the truth of the matter is that we don’t know ahead of time what psychotherapy model or technique will be helpful for the client who is in our office now. In other words, there is a lot of uncertainty that accompanies the work of psychotherapy. To be a good therapist, I believe, is to embrace uncertainty. It is the place of unlimited possibilities for change, the space for new directions and insights to occur to both the client and the therapist. Consider 7-year-old Rosa, who had gone to live with her foster parents—her aunt and uncle, Margarita and Enrique—because the parental rights of her birth parents had been terminated. Both her father and mother were heroin addicts with long criminal records; the father was in jail, and the mother was still using. Rosa clearly had been born with two strikes against her: parents missing in action and her development impaired by drugs. Although much psychopathological gobbledygook accompanied her, it was safe to say that Rosa was a “difficult” child, to say the least—prone to tantrums that included kicking, biting, and throwing anything she could find. I began the session by asking Rosa if she was going to help me today and she immediately yelled, “NO!” leaning back, with her arms folded across her chest. As I turned to speak with Enrique and Margarita, Rosa began having a tantrum in earnest—screaming at the top of her lungs and flailing around, kicking me in the process. With Rosa’s tantrum escalating, Margarita, who’d first tried to soothe her, dropped a bombshell. In a disarmingly quiet voice, she announced that she didn’t think she could continue foster-parenting Rosa. The tension in the room immediately escalated; the only sound was Rosa’s yelling, which had become rote at that point. I felt as if I’d been kicked in the gut. I’d expected to be helping foster parents contain and nurture a tough child. Now it felt like I was participating in a tragedy in the making. Here was a couple, trying their best to do the right thing by taking in a troubled kid with nowhere else to go, but who seemed ready to give up. The situation was obviously wrenching for Margarita and Enrique, but it was potentially catastrophic for Rosa. In this rural setting, they were her last hope, not only of living with family, but of living nearby at all, since the next closest foster-care placement was at least 100 miles away. I contemplated Rosa’s life unfolding in foster care with strangers who’d encounter the same difficulties and likely come to the same impasse—resulting in a nightmare of ongoing home placements. What’s the correct diagnosis for Margarita? Is there an evidence-based treatment (EBT) for feeling overwhelmed, hopeless, and not knowing whether you can go on parenting a tough kid? Enter uncertainty, and not knowing what the hell will happen next, let alone what to do next. By now, the tension and despair present a few moments before had evaporated. The decision to discontinue foster parenting, born of hopelessness, had lost its stranglehold, though nothing had been said explicitly about that. Now all smiles and bubbly, Rosa was bouncing up and down in her chair. She scored all tens on the Child Session Rating Scale (CSRS) and wrote “very good” across all the scales. Somewhat out of the blue, Margarita announced that she was going to stick with Rosa. “Great,” I said quietly. Then, as the full meaning of what she’d said washed over me, I repeated it a bit louder, and then a third time with enthusiasm—“Great!” I asked Margarita if anything in particular had helped her come to this decision. She answered that, although she’d always known it, she’d realized in our session even more than before that there was a wonderful, loving child inside Rosa, and that she, Margarita, just had to be patient and take things one day at a time. The session had helped her really see the attachment that was already there. I felt the joy of that moment then, and I still do. In my view, the session included that intimate space in which we connect with people and their pain in a way that somehow opens the path from what is to what can be. My heartfelt appreciation of both the despair of the circumstance and their sincere desire to help this child, combined with the fortuitous “attachment” experience, generated new resolve for Margarita and Enrique. This session taught me, once again, that anything is possible—that even the bleakest sessions can have a positive outcome if you stay with the process. Just when things seemed the most hopeless, when both the family and I were surely down for the count and needed only to accept the inevitable, something meaningful and positive emerged that changed everything—including me. 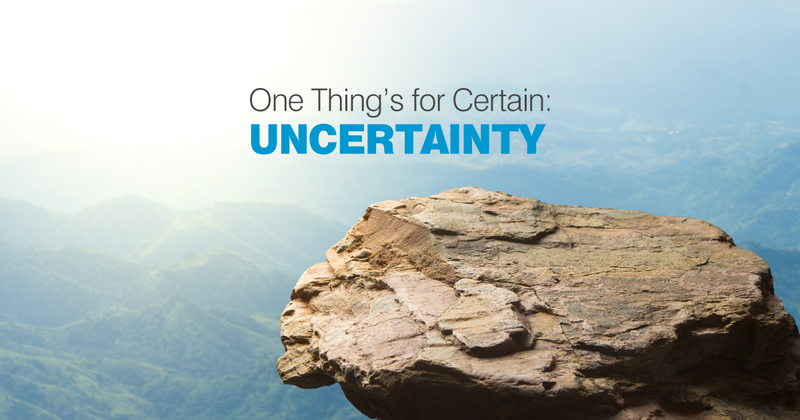 Uncertainty is at the core of these occurrences and staying in those moments requires both a comfort level with the unknown and the confidence that it might lead to something good. Embracing uncertainty requires faith—faith in the client, yourself, and psychotherapy as a healing endeavor.